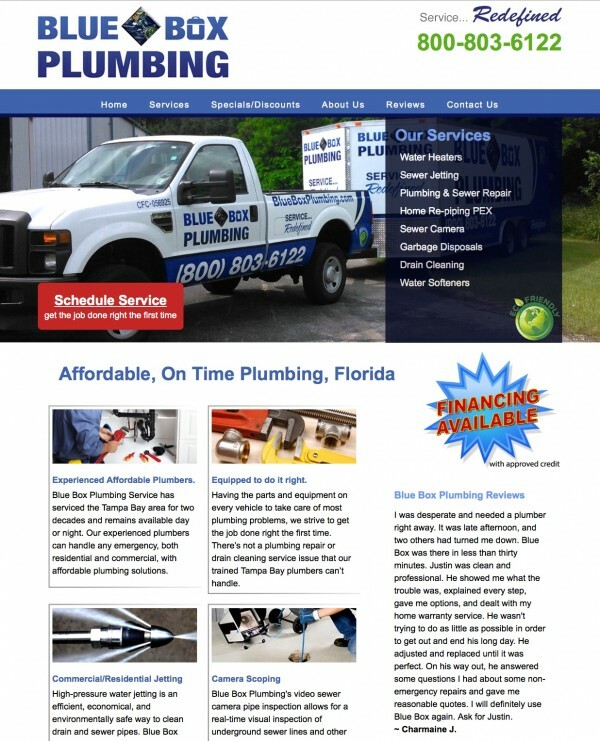 Blue Box Plumbing Service has serviced the Tampa Bay area for two decades and remains available day or night. Experienced plumbers handle any emergency, both residential and commercial, with affordable plumbing solutions. I found Astonished Man Design through my brother who uses him for his website as well. He did a great job taking our current website and making it better. Anytime I need something updated, he is right on top of it. We are very happy with the service and the product and are actually starting a new business which will be needing a new website.